A good plumber can be easy to find, but a great one? Well, that might not be quite as simple. There are so many reasons why you could end up needing to contact an expert like one of our team members (who fall into the ‘great’ category if our clients’ opinions are anything to go by). 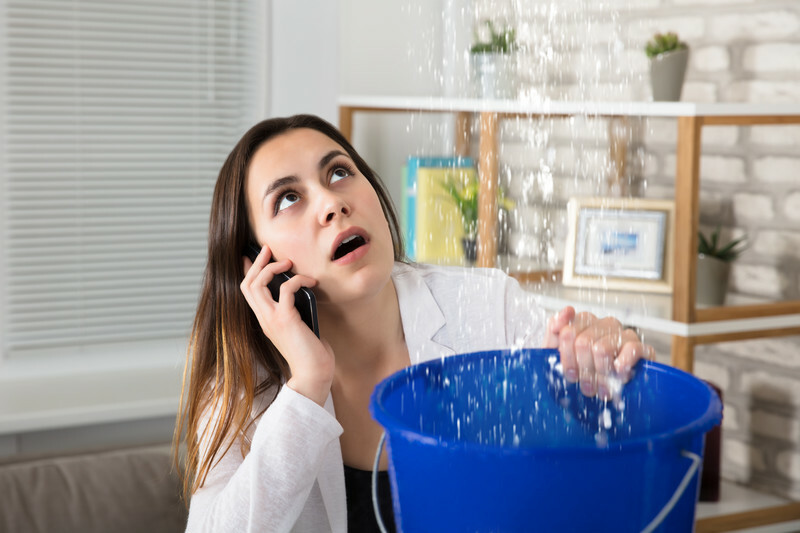 But with so many things that can go wrong with your water systems at home, or even in the office, what exactly defines the line between a potential emergency and a project that won’t suffer a brief wait? In most cases emergencies will be fairly obvious. Burst pipe that won’t stop gushing water into your kitchen? Emergency. Boiler that rattles slightly when it’s turned on? Probably something that can wait a little while. When our clients get in touch with us it often surprises them that we can usually talk them through the issue over the phone – even in emergencies. For instance, if you are facing a burst pipe, the first thing to do is to switch all valves into the off position. This will stop water flowing to the pipe and will allow us enough time to pack our tools, turn up at your home and take care of the repair there and then. But what about issues such as damp, or a faulty boiler that only provides hot water when it feels like it? In these cases it’s still well worth getting in touch with a plumber; especially if you don’t want things getting any worse. Water is one of those resources that we can’t live without, but boy can it cause a lot of damage if it’s not controlled efficiently. A leaky pipe within a wall might seem harmless, but if the water isn’t able to evaporate bacteria could quickly spread. And that’s what leads to damp and mould forming. If you notice a damp spot and it seems to be getting bigger, then it is probably there for a reason. In the best case scenario it might be fixable by opening a window at night to reduce condensation as you and your family sleep. In the worst case however, the damp could have affected your internal walls and that can lead to structural damage and weakening in general. When in doubt, call The Melbourne Plumber – that’s a rule that we live by and one that we encourage all of our clients to adhere to. If you’d like a free, no obligation quote – or to book our expert services – just give us a quick call today and we’ll take care of the rest. If you are planning to renovate or remodel your bathroom, you should consider factors like aesthetics, physical and automation needs (such as fitting a bathtub lift), as well as resale value. For instance, data published in the 2015 Cost VS Value Report shows that homeowners can expect to recoup 70% of the total cost of bathroom remodeling. Below are some tips and ideas for bathroom renovations. In general, bathroom lighting should not cast shadows on the floor or walls. To achieve this goal, you could install two ceiling-mounted or four wall-mounted lighting fixtures. In addition, the Lighting Research Center recommends paying attention to the brightness of lighting fixtures. For example, use a light bulb rated 450 lumens to illuminate the area around your bathroom sink. Besides the standard medicine cabinet, you can add bathroom storage solutions that suit your needs. A good example is installing a row of drawers/shelves/cabinets for storing dirty clothes, cosmetics, or personal grooming items. However, storage considerations largely depend on available space. Use textured, non-slip flooring materials such as grout lined, matte finished, or sand glazed bathroom tiles to reduce the risk of slipping/falling and sustaining injuries. Furthermore, select water-resistant flooring options like porcelain, ceramic, or marble tiles. Remember, water-resistant flooring solutions are necessary if you intend to install subfloor-heating systems. Finally, water-resistant tiles are desirable because they are not prone to water degradation, which means they last longer than porous tiles. To start with, consider installing mirrors to make your bathroom appear larger if it is small. Mirrors will also come in handy if you prefer more light-reflective bathroom surfaces. It is also worth noting that wall-mounted mirrors will blend in well and complement bathroom décor if you have a glass-enclosed shower area. Luckily, you can install mirrors that suit your bathroom décor and grooming preferences including wall-mounted adjustable or non-adjustable mirrors. When renovating your bathroom, purchase and install quality fixtures to improve the resale value of your home. According to a report published by the National Association of Realtors (NAR), most homebuyers are willing to pay top dollar for properties that are in good condition, have quality fixtures, and require little or no repairs. Even if you do not intend to sell your home, quality fixtures are cost-efficient because they do not require costly and frequent replacements. Before buying a bathtub, sit inside to make sure you can fit comfortably. Most people will fit comfortably in a bathtub that is about 60-inches long. At the same time, make sure it has a foothold, comfortable neck support features, and easily accessible water taps. Nevertheless, the size and type of bathtub that you can purchase and install will largely depend on bathroom space. Firstly, look for a professional licensed expert to provide plumbing or bathroom renovation services. Remember some local and state authorities require homeowners to comply with building codes when undertaking plumbing or renovation projects. You should also visit the Better Business Bureau (BBB) website or review sites like Yelp to evaluate the reputation of a plumber/renovation company before signing a project contract. Another factor to consider is liability insurance coverage. In fact, some states require contractors to have a minimum amount of liability insurance coverage. Finally, look for a professional/company with years of experience in the plumbing or renovation industry. Renovating your bathroom is beneficial in numerous ways including making it more aesthetically appealing and improving the overall value of your home. To enjoy these benefits, install lighting fixtures that do not cast shadows, water-resistant floor and wall tiles, quality and durable fixtures, suitable storage solutions, as well as use mirrors to create illusion of space, reflect more light off walls, or complement bathroom décor and fixtures. You’ll want to take this plumbing advice into account so you can get a handle on what it’s all about. There are many places where plumbing is able to be done in the proper way for a great price. That, or you can do it on your own which is what you can learn about below. The main thing you have to do when starting out is that it’s necessary to do an inspection. It doesn’t matter if there is no water leaking anywhere or if you haven’t heard anything strange coming from your plumbing. You’ll need to just have a general inspection done so that you can get a feel for what may be wrong that you cannot see. That, or there may be an issue that is developing that must be cared for before it becomes a problem that’s even worse. A plumbing problem is going to have to be looked at by a professional plumber if you have no experience in dealing with one. 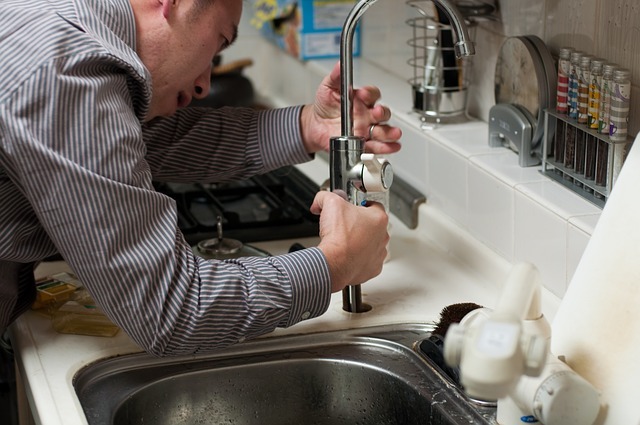 This is due to the fact that a lot of the time, you will find that doing a repair on your own ends up costing you far more than if you were to pay a plumber to assist. Think of if you were to try to fix a cracked pipe, causing it to burst open quickly because you did the work wrong. In the end the fix by a professional would have saved you a lot more money since you wouldn’t need to have bought the supplies or replace whatever got broken. Plumbing must be done by a professional that can provide some kind of proof they are able to do the job. Find out if they are licensed, but don’t let that be the only thing that you have in mind when it comes to if they are qualified to do the work. Look up the name of their company along with the word reviews, and then you can easily see what people have had to say about the plumbers working there in the past. Only trust in more current reviews since many companies change a lot over time. Never pay for services from a plumber that you have randomly met online or elsewhere and don’t know much about. If you cannot find out who they work for, what their company has been like in the past, or just some kind of reference then you may not want them doing the work. When you let someone with no experience care for an issue, or someone that is not licensed properly, then they may not do the job right causing you a lot or problems while also not getting your money back. Make a habit out of calling the plumber every few months. Even if there are no problems, try to contact them at least twice a year just to get a checkup done on your property. This is to be safe, and it will help you to know if there are problems that may need to get fixed before they become worse. One good time to always have a plumber come out is before winter because pipes are known to freeze and if any of them are rusted or cracked this could totally ruin them. Once you are able to work with a plumbing issue it’s easier to know what to do the next time one occurs. Hiring a professional or doing this yourself is something you have to take carefully. Whenever you have a home you have to take care of its plumbing or it will end in disaster for you. If you are a homeowner, there will eventually be a time when you will need to call a plumber. While there is nothing wrong with this, it should certainly not be an everyday occasion. Here are some helpful tips that will help you take care of your system and make your calls to the plumber less frequent. 1. Keep sanitary products out of your toilet. This is a very common problem, and one that is easily remedied. 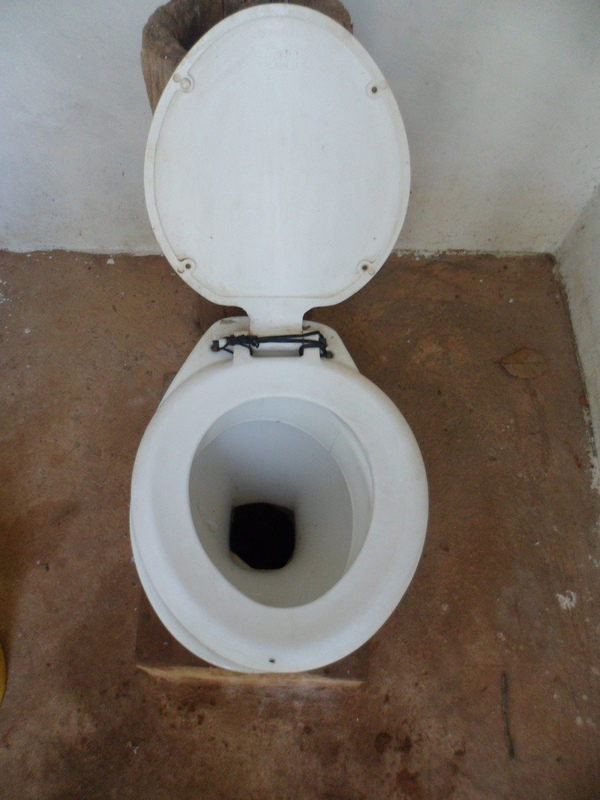 Instead of using your toilet to dispose of these items, you should put them in the wastebasket. If you throw them in the toilet, there is a chance that they will eventually clog your drain and/or wreak havoc on your septic system. This applies to all products; even those that claim to be flushable. 2. Never pour oil down any of your drains. Many people believe that running hot water in the drain while disposing of oil is a great way to get rid of it. After the water is no longer running, the oil can becoming solidified as it enters the pipes. It is best to throw used oil in a sealed container and dispose of it in the garbage. 3. Avoid pouring hot water into your toilet. When you are cleaning, it can be tempting to use boiling hot water to remove any grime that has built up on it, but this would be a huge mistake. If the water you pour into the toilet is hot enough, it can cause the bowl to cleave. While it is fine to use warm water, you should avoid hot at all costs. 4. Don’t put tough or fibrous food in the garbage disposal. Things like meat skin, corn husks, avocado peels and onion peelings should be disposed of in some other way. When these types of foods are put in disposals, they can get caught and cause plenty of problems. It is also likely that your motor will stop working sooner rather than later. 5. Be careful when pouring old cleaning water in toilet bowls. There are many people who do this without realizing that sponges, brushes and other cleaning supplies are in there. In cases where they flush before realizing this, the toilet is damaged and it is absolutely necessary to call a plumber. Even if you don’t believe there is nothing in the water, it is always a good idea to double-check. 6. Avoid placing items on the top of the toilet tank. Many people place things like brushes, toilet paper and hair accessories there. You should be particularly careful about this since something can get jostled and land in the bowl. If this happens and you flush without noticing, it can damage the pipes. 7. Do not store wastebaskets underneath the sink in the kitchen or bathroom. Many people do this in an effort to be inconspicuous, but it is not a wise choice. Every time it is removed and replaced, it may hit the pipes located there. Once they are hit a good number of time, it can cause leaky, damaged pipes. 8. Pour hot water down the tub/shower drain every month in order to remove any excess debris that may have gotten lodged there. For best results, the water should be boiling. Things like hair and sop scum can build up in drains and create problems over time. Cleaning it out with hot water can help stop a problem before it starts. 9. If there is a problem that seems far beyond your scope, you should definitely call in a professional. While minor issues can be fixed with home supplies, like drain cleaner and plungers, you should not attempt to do anything you are not familiar with. Even if you believe that trying to do it yourself with save money, that would be a huge mistake. There are many people who try doing things themselves and they end up paying much more later than they would if they had called a plumber initially. 10. Grind ice in your garbage disposal every once in a while. The hardness of the ice will help keep the blades sharp. This may seem like something that is too much for your system, but it is actually quite effective. If you decide not to do this, it is likely that you blades will get dull faster than expected and you will have to replace the system. There will be occasions when calling a plumber may be your only option. The point of the advice here is to help you avoid having problems on a regular basis. While it does help to have a good plumber on speed dial, your calls should be fairly sporadic. 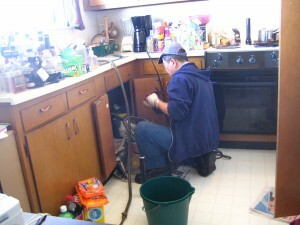 As long as you follow the advice here, you will minimize all of your plumbing woes.